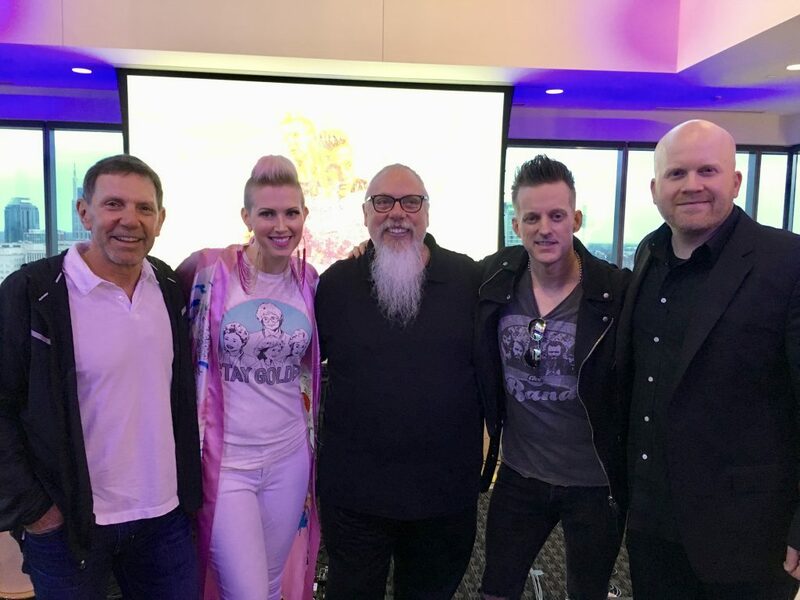 Country duo Thompson Square shared several tracks from their forthcoming album, Masterpiece, with friends and members of the music community on The Steps at WME on Tuesday night (April 3). 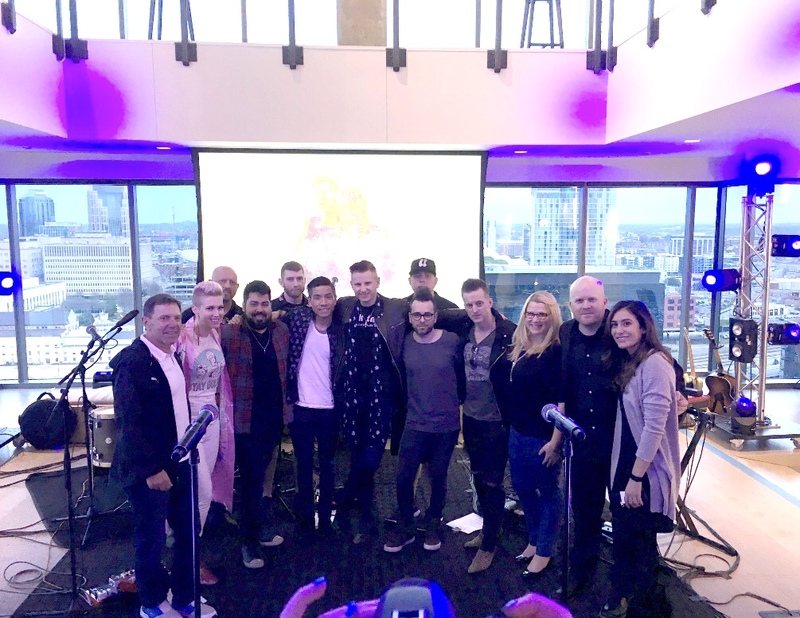 Guests were treated to just released tunes “Millionaires,” “A Love Like This,” “Let’s Do Something Stupid,” “Up in Smoke” and “Masterpiece,” with a sneak peek at “Good Day” and a performance of signature hit “Are You Gone Kiss Me Or Not,” to top off the night. The husband-wife duo will release their first album in more than five years and third studio project, Masterpiece, on June 1. 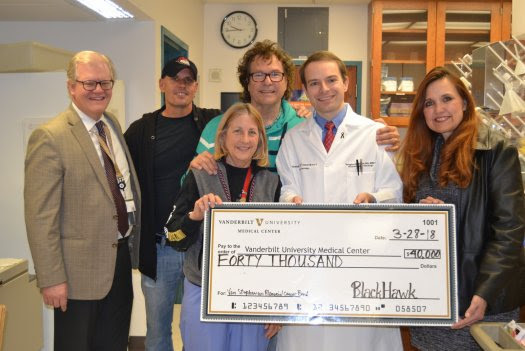 Last week in Nashville, Henry Paul and Dave Robbins, members of country group BlackHawk, as well as southern rock band The Outlaws, paid visits to the Vanderbilt-Ingram Cancer Center and MusiCares to deliver donations raised for each organization. 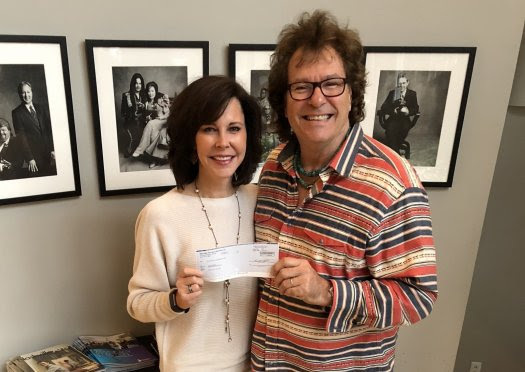 Paul and Robbins presented a $40,000 check to Vanderbilt (on behalf of BlackHawk’s “Van Stephenson Memorial Cancer Research Fund”) and a $20,000 check to MusiCares (on behalf of The Outlaws’ “Fallen Outlaw Fund”). 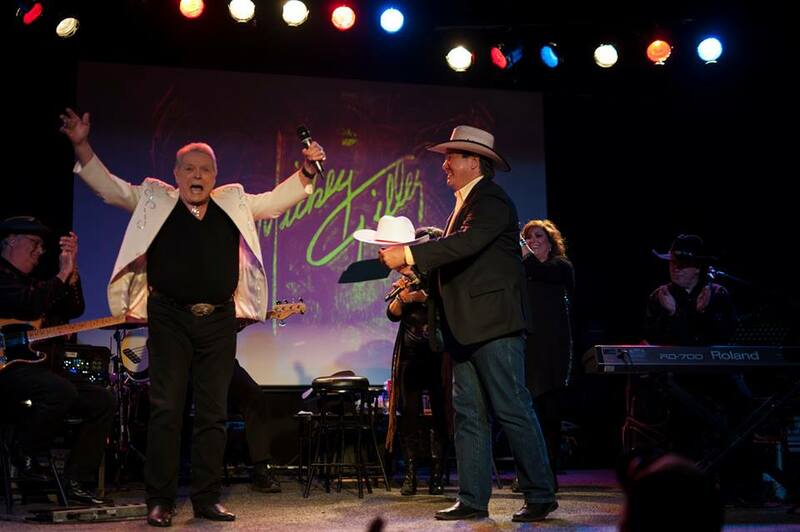 Mickey Gilley was presented the Calgary White Hat Saturday night (March 31) at the Deerfoot Inn & Casino in Calgary, Alberta, Canada. The Calgary White Hat recognizes the recipient as an honorary citizen of Calgary and is a symbol of friendship and hospitality that has been bestowed upon celebrities and government officials alike since 1948. Other notable recipients include former U.S. Presidents Clinton and Bush, the Dalai Lama, Oprah and the Rolling Stones. “It was a great honor receiving the White Hat in Calgary, just about like when I got the star on the Hollywood Walk of Fame, it was awesome!” said Gilley.